According to new research published in The Journal of Pediatrics, the more children watch TV commercials about fast food meals, the more often families will visit those restaurants—especially if the child receives a toy. This may not come as a surprise since fast food companies regularly participate in marketing that targets children under the age of 12. In 2009, 90% of that advertising was done through television. 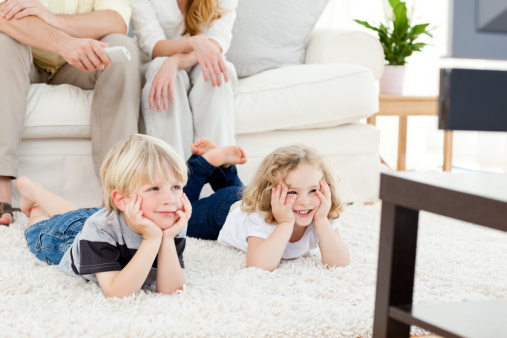 Exposure to television has been found to affect children’s food choices. For example, many children’s meals that are advertised on TV feature toys; some health experts believe that this may prompt children to request eating at fast food restaurants as a result in order to get the toy. For the study, researchers at the Geisel School of Medicine at Dartmouth, New Hampshire compiled a database of all the fast food TV ads that aired nationally in 2009. They found that during that time, only two nationally recognized fast food chains took part in child-directed television advertising; approximately 79% of the ads from these two restaurants aired on four children’s networks. The research team enrolled 100 children between the ages of three and seven from a rural pediatrics clinic in 2011. One parent from each family also participated in the study. Parents completed a survey that questioned how often their children watched each of the four children’s networks; if their children requested visits to the two restaurants; if their children collected toys from the restaurants; and how often the family went to those restaurants. Researchers found that the more children engaged in watching TV channels airing ads for children’s fast food meals, the more their families visited those restaurants. Approximately 37% of parents reported monthly visits and 54% of children requested to visit at least one of the restaurants. The team also found that of the 29% of children who collected toys from the restaurants, nearly 83% requested to visit one or both restaurants. Several factors contributed to more frequent visits, such as how many TVs were in the home, the amount of time spent watching TV during the day, whether or not a TV was in the child’s bedroom, and the amount of time spent engaging in watching one of the four children’s networks that aired the majority of child-directed ads. Authors admit that there were limitations to the study. For example, there were a small number of participants and the study took place in a rural area, meaning visits to fast food restaurants are fewer due to decreased accessibility. Despite the limitations, the study confirms an association between child-directed TV advertising for fast food restaurants that offer toys and the number of visits to those restaurants. The study further shows that a child’s preference for food may solely depend on his or her desire for the toys featured in the TV ads. Brazier, Y., “Adverts for kid’s meals with toys draw children,” Medical News Today web site, October 30, 2015; http://www.medicalnewstoday.com/articles/301714.php. Emond, J.A., et al., “Commercial Television Exposure, Fast Food Toy Collecting, and Family Visits to Fast Food Restaurants among Families Living in Rural Communities,” The Journal of Pediatrics 2015, doi 10.1016/j.jpeds.2015.09.063.